I was provided a product in exchange for recipe development and an honest review, and was not compensated for my review in any other way. I believe that every food blogger, every chef, and every home cook has a food nemesis or two. You all know what I am talking about- those dishes and recipes that just never seem to come out right no matter how many times you try it or how many methods you give a go. You vow that you are finished. You will never, ever waste your time trying to make that dish again. If you want it bad enough, you will just resort to pre-made or take-out. Believe it or not, one of my recipe nemeses is homemade meatballs. They either come out too tough or they simply fall apart until they resemble something like more of a meat sauce. And given my father's very Italian family, one would expect that I would just naturally and genetically rock at making meatballs from scratch. But sadly that is not the truth. 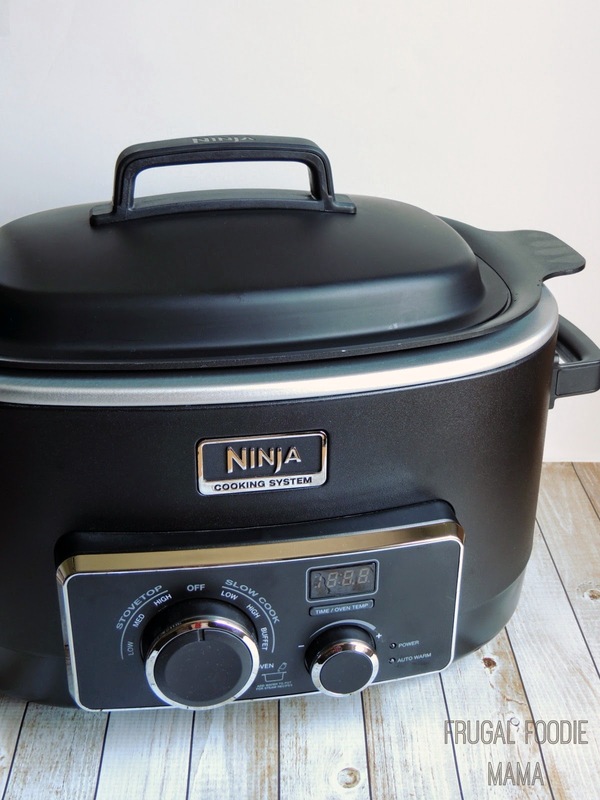 I received renewed confidence to try making homemade meatballs once again when my shiny new Ninja 3-in-1 Cooking System arrived on my doorstep. This was going to be my one last time, all-in, last ditch go at that them. If I couldn't make meatballs work with this awesome piece of culinary cookware, then I was just not meant to ever make a decent from scratch meatball in my lifetime. 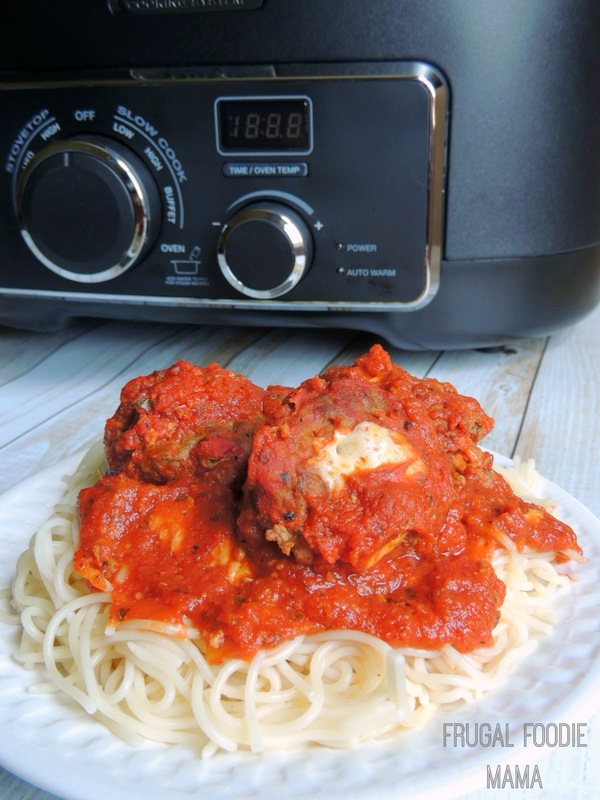 Lucky for me (and my family) and for you, these Double Mozzarella Stuffed Meatballs came together wonderfully and deliciously in my Ninja Cooking System. Tender, flavorful, and oh so cheesy. In a large mixing bowl, combine the breadcrumbs and milk. Let it sit for 1-2 minutes. Add in the garlic, shredded mozzarella, ground beef, salt & pepper, and egg. Mix to combine well. You may have to get your hands into this one. Form the meatball mixture into balls about 2 tbsp large. 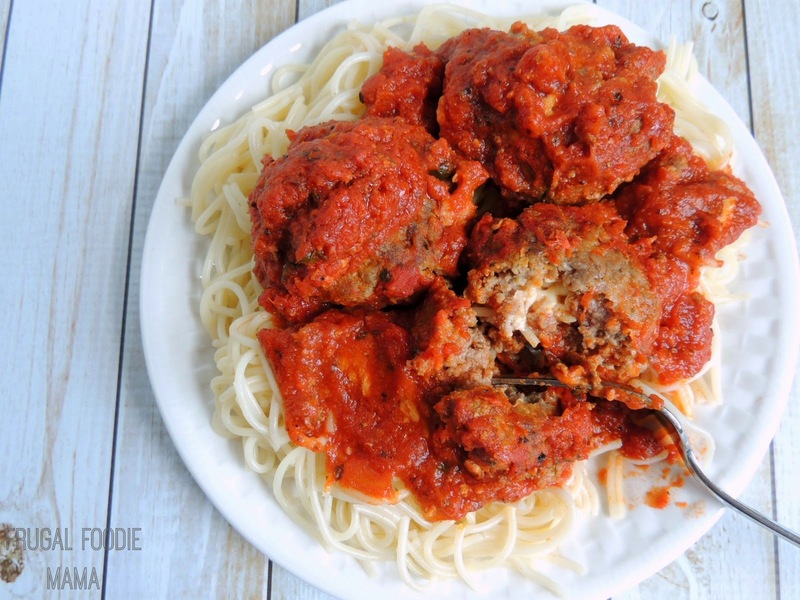 Press one of the fresh mozzarella chunks into each meatball and then form the meat around the mozzarella chunk. 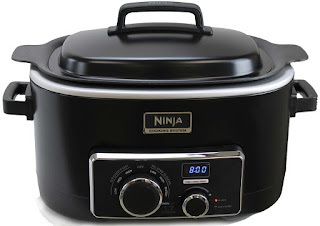 Place each meatball into the cooking pot of your Ninja 3-in-1 Cooking System in a single layer. 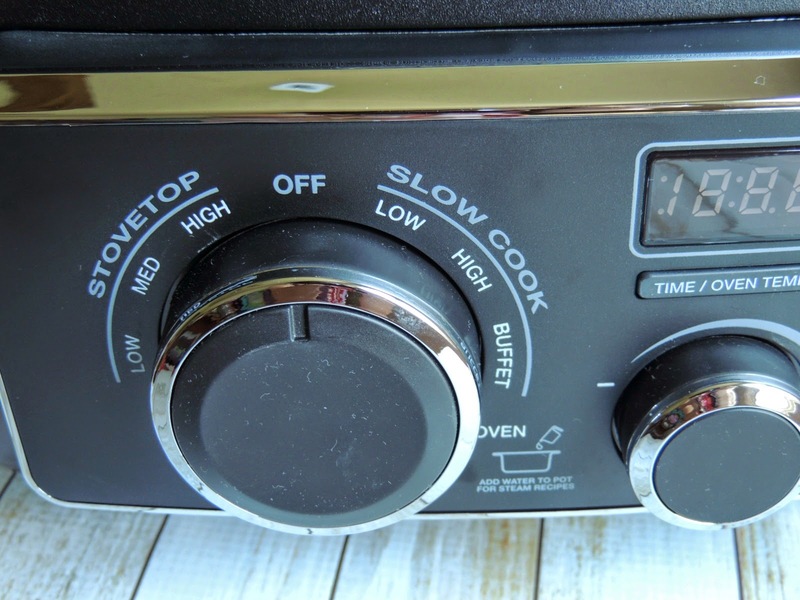 Turn the Stovetop dial to High. Brown the meatballs for about 10 minutes, flipping them 2-3 times during this cooking time. Psssttt... no cooking oil or spray is needed! Pour the pasta sauce over the meatballs in the Cooking System. Switch the dial to Slow Cook and then to Low. Cook for 5-6 hours. Serve over prepared pasta. Enjoy! 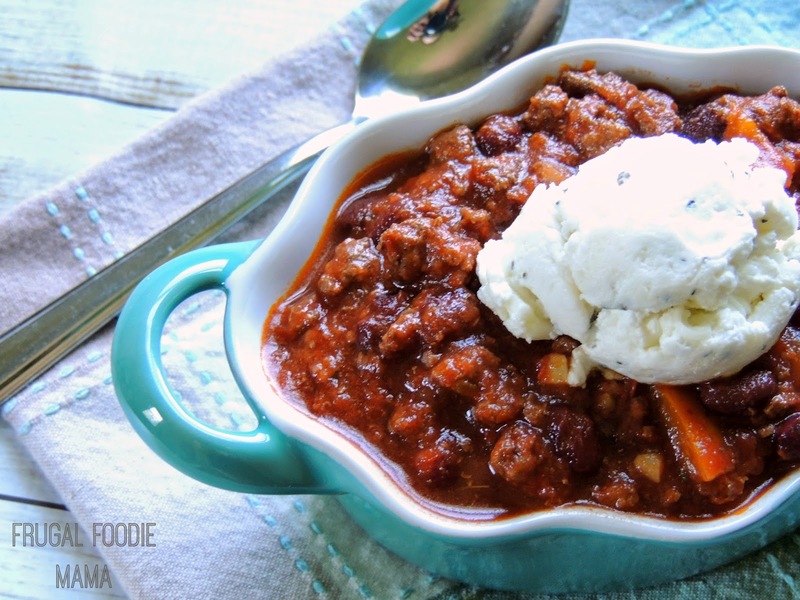 **Adapted from THIS RECIPE by EveryDay with Rachael Ray. Can I just tell you all how impressed (and in love) I am with this Ninja 3-in-1 Cooking System? It does it all, folks. It was so cool to brown the meatballs and then slow cook them in the same cooking pot! No separate pan to wash after browning the meatballs. 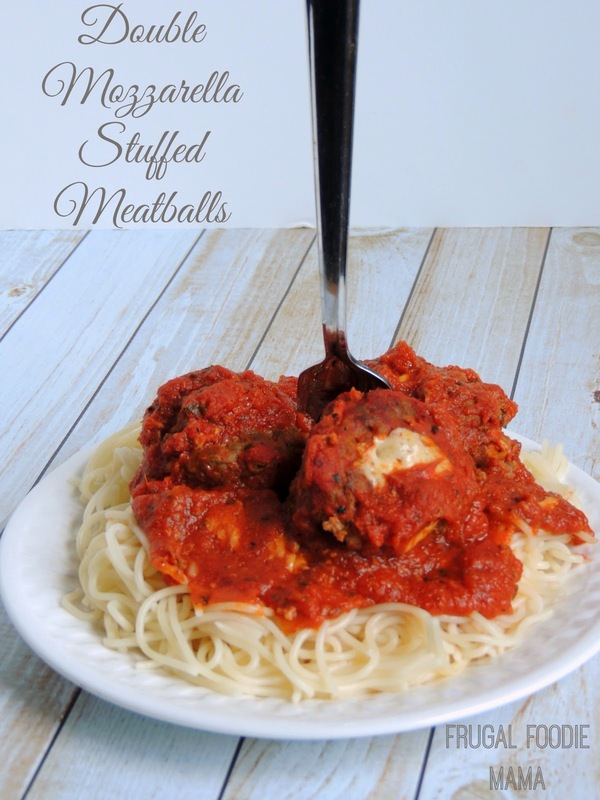 These Double Mozzarella Stuffed Meatballs turned out absolutely perfect. Maybe I finally got the recipe right. Or maybe it was my Ninja Cooking System. Maybe it was a little of both. But now I finally have a go-to homemade meatball recipe in my arsenal. What is a culinary nemesis of your's? Do you think the Ninja 3-in-1 Cooking System could be just what you need to finally take it on and conquer it?